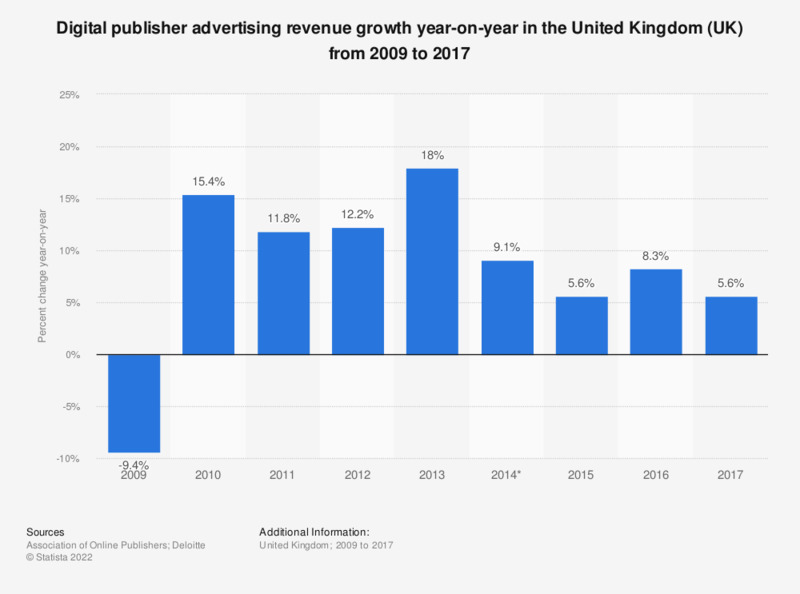 This statistic displays the year-on-year advertising revenue growth of digital publishers in the United Kingdom from 2009 to 2017. Revenues rose 12.2 percent in 2012 on 2011. The greatest percent change was in 2013 on 2012. Figures for 2009 to 2013 refer to the full year each. Figures from 2014 onwards compare Q1 of each year.